Even if you’ve never had a massage, you know how you’d like to be treated. Since massage is a personal service, do you want a place that provides customer service or customer care? What’s the difference you ask? Allow me to explain. Customer service describes the interactions during and after your massage experience. Examples of this include ease of setting your appointment, how you were greeted when you walked in the door, how questions you had were answered and did the company get back to you in a reasonable time frame. Overall, customer service is how you were treated during any interaction with the company and/or therapist. Customer Care includes customer service AND it goes alot further to create a deeper connection between you, the therapist, and the company. You feel listened to and heard by your therapist and know that your therapist truly cares for you and your well-being. You know that your therapist is doing everything in their power to make sure you have the best possible experience. If you aren’t interested in having your therapist get to know you, then the franchise places are better suited for you. They do not provide extensive intake processes to get to know your situation or body. If you prefer to a place that creates a relationship with you as well as provides you with the experience that they care, then you want a place that takes their time to get to know you. 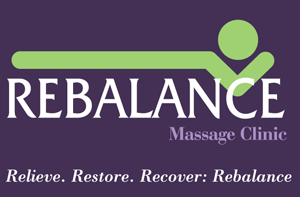 At Rebalance, we focus on truly doing our best for our clients so that they receive the best possible customer care. We pride ourselves on getting to know, taking care of our clients and developing relationships.